Bathinda: Citing Amnesty International recent report stating that India has become a dangerous and unsafe place for human rights defenders and those who are critical of the state, the Dal Khalsa will hold a March in Bhatinda on Dec 10 to highlight state atrocities and impunity to forces from Kashmir to Punjab to Northern states. 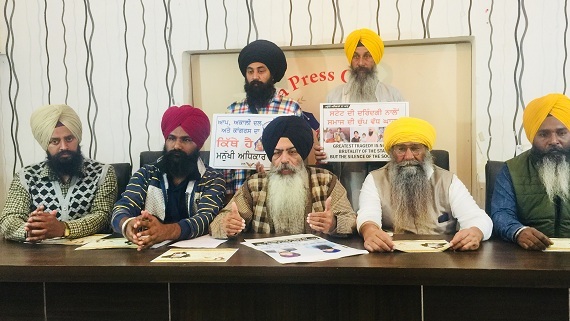 Referring to the dismal plight of minorities and Dalits from Kashmir to Bulandshahr via Punjab, the organization gave the call to all oppressed people to register their protest at their native places against common oppressor (New Delhi) on Dec 10. They believe Non-state actors backed by state machinery butchered cop in Bulanshahr. 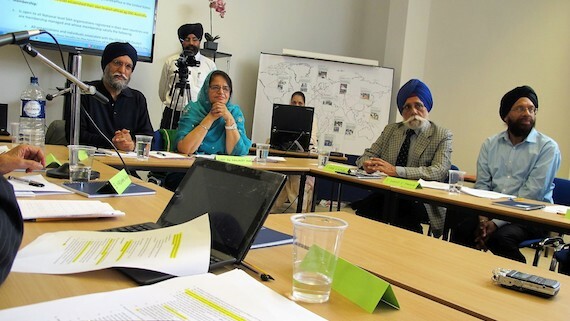 Dal Khalsa Spokesperson Dr Kanwarpal Singh(Center), Bhai Hardeep Singh Mehraj(Right), Bhai Sukhraj Singh (Left). The organization condemned the so-called Ram Bhagats engineered by Sangh Parivar, that brought down the Babri Masjid 26 years ago on this day. The neo-Ram Bhagats who are part and parcel of Modi regime are making noises to build Ram Temple at the disputed site only to stoke communal fires for 2019 Lok Sabha elections. 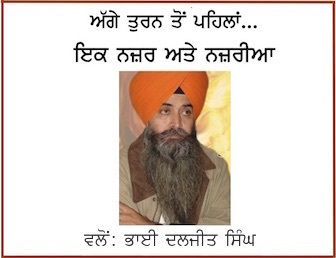 The crackdown on human rights defenders, killings of journalists by right-wing groups patronized by the ruling class, mob lynching and trampling of rights of dissenting people from Kashmir to Punjab to rest of places in India is a grave challenge to the freedom to dissent and violates constitutionally guaranteed human rights, said party spokesperson Kanwar Pal Singh. While addressing the press meet, he said while the UN is celebrating the 70th anniversary of Universal Declaration of Human Rights, we, the oppressed people would protest against the trampling and suppression of our rights by successive governments. “The activists holding placards will march from Qilla Mubarak up till Mini-secretariat where the rally will be held”, said he. Stating that the present regime has posed threat for human rights, the party’s vice-president Hardeep Singh Mehraj said hatred and inequality are on the rise. Respect for international humanitarian and human rights law is on the decline. Space for civil society is shrinking. Press freedoms are under pressure. Post-1984 events hundreds were detained illegally, maimed, incarcerated, forced into involuntary disappearances and became victims of extrajudicial killings in the last three decades. We have written to international community including the UN on numerous occasions as to how the Indian state-engineered genocidal killings of Sikhs in Punjab, Delhi and elsewhere but we are sorry to say that world powers including the US don’t see beyond its trade interests with India. Party’s general secretary Paramjit Singh Tanda said the guilty cops who fired on Sikh protesters at Ludhiana in Dec 2009, Gurdaspur in March 2012 and Behbal Kalan in Oct 2015 killing Darshan Singh Lohara, Jaspal Singh, Krishan Bhagwan Singh, Gurjeet Singh respectively have gone scot-free courtesy impunity to forces. Sukhraj Singh son of the victim of Behbal Kalan firing also addressed the meet. Malwa Youth Federation lent support to the Dal Khalsa march.